Does mixmandjarob belong in this group? I've always wanted to take a cruise to a beautiful island with my beautiful lady along beside me. 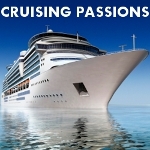 loved my cruise for my honeymoon and now hooked i have fallen in love with cruises! Does washingtiondoll belong in this group? Does partyrock6911 belong in this group? I've been on one cruise Went Royal Carribean. Now I'm sold and all I can think of is going back. Does susej belong in this group? Does spikajamero19 belong in this group?